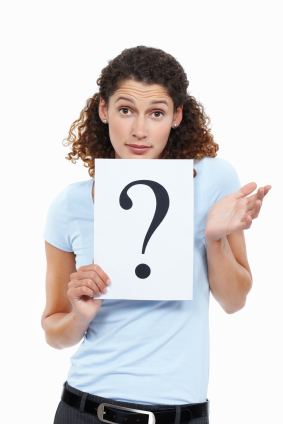 What Is The Difference Between Bruxism and TMJ? 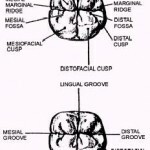 Disorders of the temporomandibular joint (TMJ) can have many names. These include TMJ syndrome, TMJ dysfunction, and TMJ disorder, among others. Throughout this article, we’ll use these terms interchangeably. Regardless of the names, these conditions are often exacerbated by persistent teeth-grinding (bruxism). Before we talk more about TMJ problems, let’s review some background information about bruxism. Definition | What is bruxism? Bruxism is the involuntary or habitual grinding or clenching the teeth. “Sleep bruxism” (Bruxism that occurs during sleep) is a more pernicious variety. This is because damage from sleep bruxism is more challenging to detect, cure, and repair. Symptomatology | How do I know if I have bruxism? This is an important question. It’s usually not difficult to determine if you suffer from teeth grinding. You may be conscious of grinding your teeth while it’s happening. If not (for example, if you suffer from sleep bruxism), then you may only become aware of the habit by its symptoms. Even seemingly-unrelated conditions like sinus inflammation can result indirectly from “trigger point” compression of facial nerves effected by bruxism. Only a healthcare professional can diagnose a medical condition, so for safe measure, it is recommended that you seek the input of a dentist or other oral health diagnostician. Epidemiology | How common is bruxism? Bruxism is not universal, but it is not uncommon. Epidemiological data shows that 1 in 10 people suffer from bruxism in their lives. Pathophysiology | What is the physiological mechanism of bruxism? Specialists have not yet agreed upon the root cause of bruxism, nor is it certain that one primary trigger exists at all. But there are several distinct factors associated with bruxism. Individuals exposed to these risk factors are more likely to develop the condition. Such risk factors include stress, diet, anatomy, and pharmacology. A person’s stress level or stress response has wide-ranging health impacts. Some of these impacts can have serious consequences. Vascular and psychiatric diseases are some of the more common outcomes. 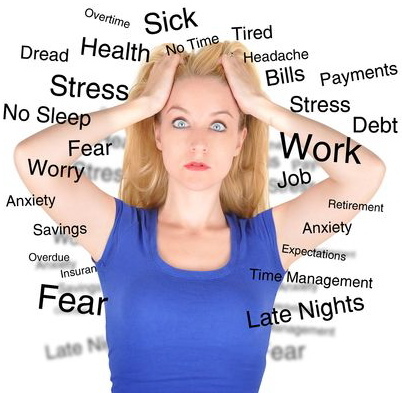 Typical stressors include interpersonal relationships, work, finances, and general health, among others. Nutritional deficiencies can negatively impact every bodily system, from digestion to circulation. When the body is strained by inadequate nourishment, a cascade of destructive, self-reinforcing reactions can occur. 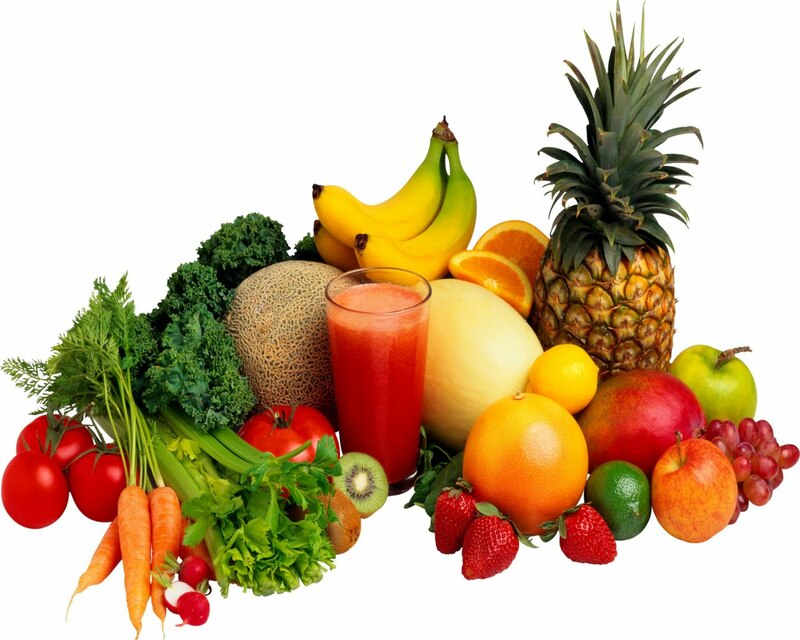 For example, a diet low in potassium can lead to muscle cramping, which can lead to pain, which can in turn lead to emotional tension. Emotional tension then leads to musculoskeletal tension, which further exacerbates the initial pain. If not treated, this cycle may continue until the patient is partially or completely incapacitated. Poor structural alignment of the teeth and jaws can result in an uneven bite. This means that the surface of the teeth come together in ways that are not conducive to efficient chewing. Such a condition can sometimes require increased effort and force during routine behaviors such as eating and chewing gum. When that happens, the afflicted individual is likely to experience the pain, discomfort, and dental damage associated with TMJ dysfunction and/or bruxism. Just as poor nutrition can lead to myriad physiological consequences, so, too, can medicine, narcotics, and any other psycho-biological agents. In particular, substances that increase activation of the sympathetic nervous system should be carefully moderated. This sub-component of the larger nervous system is particularly sensitive to over-stimulation by way of coffee, sugar, tobacco, certain illicit substances (“uppers”), and some prescription medications. Complications | Is bruxism serious? As you may expect, bruxism can be quite serious if not treated with the right blend of interventional approaches. For people who grind their teeth only occasionally, it is unlikely that significant damage or discomfort will occur. But for those who suffer from chronic or recurrent bruxism, it is vital that steps are taken to halt and counteract the possible complications. Methods to treat bruxism and control its damage generally include deliberate behavior modification (to reduce exposure to risk-factors) and custom-fit dental night guards meant to provide a protective barrier to the teeth, jaws, and the nearby structures, such as the tongue. Without such measures in place, it is likely that a long-term “bruxer” will eventually develop a number of unpleasant symptoms. These symptoms can include wearing of the teeth, cracking of the teeth (craze lines), flattening of the teeth, headaches, ear pain, sleep disturbances, insomnia, painful aggravation of the facial nerves (most notably trigeminal neuralgia), tooth decay, inflamed and receding gums, and a cluster of troubling symptoms associated with the temporomandibular joint (where the jaw meets the skull). Many problems with this joint are grouped together and labeled as “TMJ syndrome”, “TMJ dysfunction”, “TMJ disorder”, etc. Much like bruxism, these conditions are not completely understood and documented, but they are strikingly common nonetheless. This table summarized some of the conventional wisdom about teeth-grinding and TMJ dysfunction. If you’ve spent a little time researching TMJ disorders, you may have noticed convoluted and even conflicting information. That’s because, as is the case with bruxism, TMJ disorders can present in a variety of ways. In addition, medical specialists, researchers, and patients are still discovering, correlating, and documenting the connections between the multitude of possible manifestations. Given this ever-increasing confluence of information, the traditional, singular epithet “TMJ syndrome” has been increasingly deprecated and superseded by the more general, plural form “TMJ syndromes”, along with other umbrella terms, most notably “TMJ dysfunction” and “TMJ disorder”. 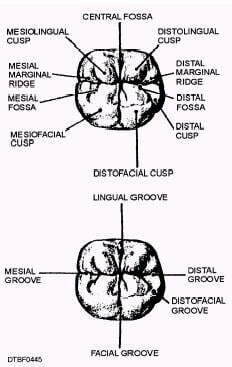 These syndromes are generally recognized by a characteristic clicking or popping sound and an associated pain or discomfort in the juncture between the jaw and skull (again, the temporomandibular joint, so-named for its anatomical role as the union of the skull’s temporal bone with the attached mandible bone, better known as the jaw). This unpleasant clicking is usually felt and heard inside or in front of the ear, and is thought to be the result of dislocation, subluxation, inflammation, or other impairment of the cartilage disk that serves as a buffer between the two bones. 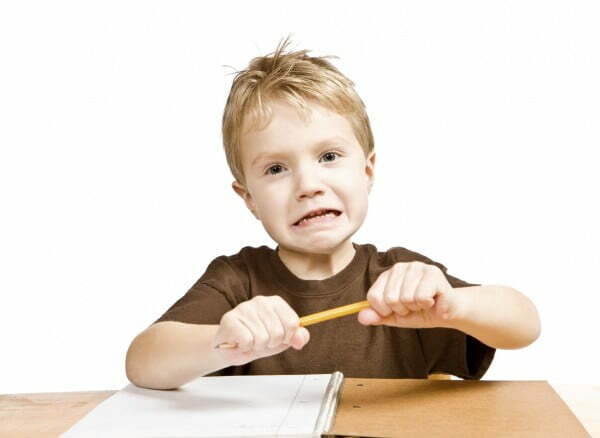 Such impairment is frequently caused by…you guessed it: bruxism. Treatment and Prevention | What can I do about my bruxism? 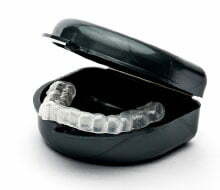 You should strongly consider wearing a night guard (a mouth guard worn at night). These can be purchased online at much lower costs than you would pay a dentist, but with the same quality and customization options. If you do invest in a night guard, be sure that it is custom-molded to fit your unique dental anatomy. Now, it should be noted that the mouth guards used for treating alignment disorders (a symptom of TMJ disorders) function differently than a typical night guard. This means that if your dental health provider has diagnosed you with an alignment issue, then a standard custom night guard is not recommended. Night guards for alignment issues are always made of rigid acrylic material and sometimes incorporate metal clasps to help raise the bite and reposition the jaw. Because an alignment splint is fairly involved, the dentist may need to make multiple adjustments in order to achieve optimal position and results. 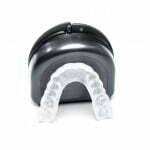 Again, for patients suffering from alignment issues, we do NOT recommend ordering a night guard bought online. You should always consult a licensed specialist before using any medical device or treatment. Bruxism, teeth-grinding, and TMJ disorders can be burdensome and destructive. But with the information in this article, we hope that you’re better-prepared to face the challenges head-on. The problem of waking up with sore teeth is common amongst many people. It is estimated that most of us grind or clench our teeth at some point in our lives. The most common cause of sore teeth while waking up is grinding and clenching of teeth while asleep. The majority of the people who experience this issue usually clench and/or grind their teeth while asleep. In fact, it is estimated that 1 in 12 people grind or clench their teeth at night. This might be caused by many things including stress, dreaming and irregular temperatures at night amongst other reasons. A person who clenches and grinds his or her teeth at night will not have control of this situation since it is not possible to stop clenching and grinding of teeth while asleep. Therefore, if such a person does not find the right solution, the problem will persist and the person will be waking up with sore teeth and slowly making the teeth flatter, more susceptible to cracks & breakage.. This makes it paramount to find a permanent and effective solution to solve this problem. Don’t know if you’re grinding your teeth? The most convenient and effective solution to waking up with sore teeth because of grinding and clenching of the teeth at night is the use of a dental night guard. These guards are effective because they prevent the teeth from coming into contact at night and even if the person wearing the nigh guard clenches or grinds the teeth there will be no negative effect. 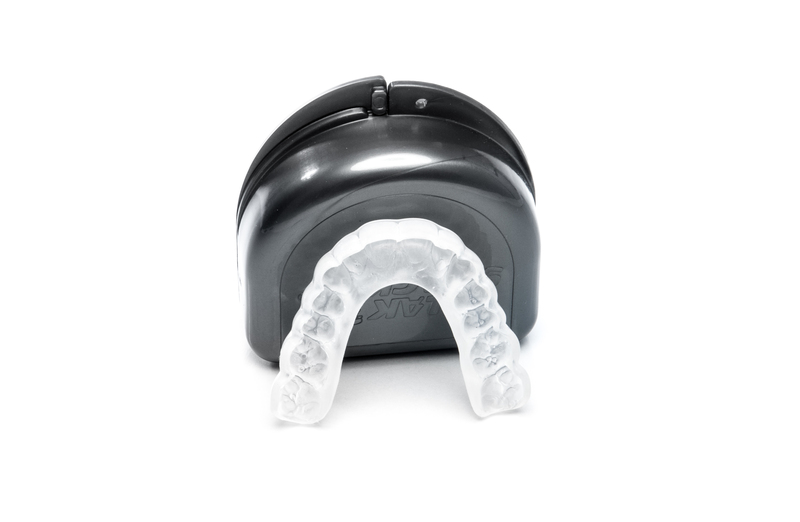 Custom made night guards (based on a dental impression of your teeth) are far superior to store bought dental night guards. Custom guards are also easy to put on and remove and they can be worn by almost anyone. Finding the right night guard for you can sometimes be tricky. 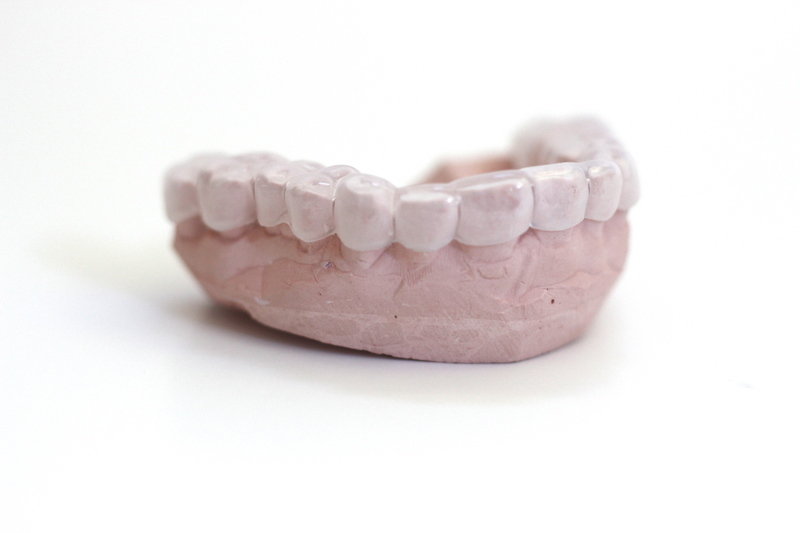 A custom made dental night guard (made from a dental impression of your teeth) is almost universally recommended by dentists and researchers alike over the stock, store bought types. Skip dental offices prices and get yours here direct from the lab! Another common cause of teeth soreness while waking up is eating foods and failing to brush while going to bed. Some of the common foods that usually cause this problem include hard foods whose particles might remain on the teeth or meats that get in between the cracks. These food particles will have a negative effect while sleeping which can readily cause teeth soreness. The most effective way of avoiding this problem is ensuring that one brushes and flosses prior to sleeping. Through brushing and flossing one removes the food particles that might have remained on the teeth and therefore have a comfortable night. People who tend to sleep in certain positions might wake up with their teeth feeling sore. . For instance, placing the hands below the face especially on the jaw area or sleeping with your face on something hard like rings or bracelets (it’s common for people nowadays to sleep with their phone right next to them) can cause the teeth to be sore. Pay attention to where the pain/soreness is being distributed. Is it just on one side? Both sides? Upper teeth? Lower teeth? . A person who usually moves his or her face towards the rail of the bed might also make the teeth feel sore in the morning. The ideal solution for teeth soreness caused by these issues is ensuring that one removes all the jewelry while going to bed, and put the phone on a nightstand nearby. One should also practice placing the hands away from the face while sleeping. It is also helpful to try sleeping far away from the bed rails and placing a pillow between yourself and the rail so as to avoid placing the face along the rails while asleep. 4. Have you had a dental appointment or cleaning lately? Sometimes getting your teeth and gums probed and prodded with dental tools can cause some continued soreness. This will usually subside within a few days after treatment and should not cause alarm. 5. Sprained Tooth Syndrome (STS) can form from a number of things such as an overfilled filling or crown, cold allergy/sinus issues, or shifting of teeth. Additionally, crunching , grinding or opening the mouth continuously can aggravate the tooth & ligament that is attached to the tooth and even exacerbate clenching and grinding. Sometimes STS can arise from a small minor accident like crunching on a pointy, sticky or chewy food & worsen from that point. Dental treatment for STS may include changing the patients bite, Ibuprofen, sensitive toothpaste and/or the use of a dental night guard. You should seek professional dental help if you suspect you may be suffering from STS as this syndrome can be complex. What do you think? Have you suffered from morning teeth soreness? I do have tooth soreness and its because of another reason entirely. Tell us why in the comment section! Solving the problem of grinding and clenching by wearing a custom night guard is now a convenient solution because these guards are easily accessible online. A person who might need a dental night guard can complete the entire process without ever having to leave their house. Don’t know if you should go through an online night guard lab or pay your dentist? There are some instances when you should definitely go through the dentist. If you’re suffering from TMJ, jaw alignment issues or if your dentist recommends making you a special type of night guard involving metal clasps or ramps you will need him/her to fabricate that type of special appliance. The process of buying a Sentinel Night Guard is simple and the payment modes with features that include PayPal are secure and user friendly. Furthermore, purchasing your new night guard from Sentinel Mouth Guards is way less expensive than what a dentist charges. There can be other reasons why your teeth are sore that are not listed in this article. Discuss your tooth soreness with your dentist. He/she can take x-rays to see if there are some visual signs of trouble in one or more of your teeth. A dentist can also perform sleep tests and examine your teeth for fracture lines or dental damage if you are indeed grinding or clenching at night. Do you have something to add to this article? Please do! See comment section below. How Do I Know If I Am Grinding My Teeth At Night? Many dentists experience this problem with patients. The dentist tells the patient that they are showing signs of teeth grinding or jaw clenching at night only to be met with disbelief from the patient. 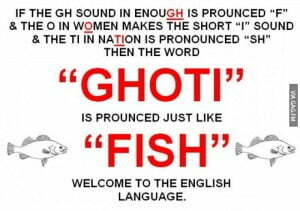 We ,as human beings, think we have a good grasp on things like this. We think we would KNOW if we were grinding or clenching at night. This is simply not true. It’s an act we perform while sleeping and it’s important to understand that we grind in short intense bursts (not all night long). So you may say “how do I know if I’m grinding my teeth at night”? Here are 5 signs you may be grinding your teeth at night. If you awake only to find that your mouth is killing you, you may very well be grinding or clenching your teeth at night (particularly, if your teeth ache and your jaw hurts). Both clenching and grinding can cause not only dental damage to your teeth, but irritation to the muscles in your head and neck. There are a variety of factors that can be inducing this bruxing action. Stress is always high on the list and the effects are something you should take very seriously. People across the globe are learning everyday just how serious it can be when they finally wear their teeth down and/or crack them. Cosmetic restorations are very expensive. A full mouth restoration can cost between $30,000-$60,000. Think about it. You have 32 teeth in your head (well, give or take a few). A root canal for 1 tooth (which is often a must-have if you crack your tooth) can cost anywhere from $1000-$2500. You can protect your pearly whites by wearing a simple, thin clear guard. Night Guards also will alleviate some or all of that jaw pain/muscle irritation and headaches. Be smart. Protect your teeth. If you have a personal story of your own, feel free to share in the comments box at the end of this article. We would love to hear yours. 2. Your back teeth are flat as a horses back OR they look like they have little “pot holes” on them. This is why you need to be aware of your teeth. Pay attention to any changes in your dental anatomy. Enamel is tough. It takes a lot of clenching and grinding over a long period of time to do significant damage. Because of this drawn out period of wearing down, we often don’t even notice. So look in the mirror and check out your teeth surfaces. Do you have shorter looking front teeth than you remember? Or fracture lines (a dentist will be able to see these little lines in the teeth). You may notice that your back teeth are flat or have little pits on them (as seen in the reference picture). Look carefully at your molars. Do you see anything that resembles a “pot hole”? This is a good indication you are grinding. Here is one test you can try on yourself to see if your front teeth are possibly too short. Stand in front of a mirror and relax your face and mouth muscles. Open your mouth slightly. Your back teeth should not be touching. The upper lip must be completely relaxed. Keep your head straight forward. Can you see your teeth? When a dentist does this exercise on a patient he is looking for 1-2mm of visible front teeth. If he doesn’t see any teeth showing, the teeth may be too short. As mentioned above, tooth enamel is incredibly tough. It’s the hardest substance in the human body! Even harder than our bones! So it can stand a lot of wear and tear but teeth grinders can also be really tough on their teeth. Research has proven that while we sleep, we can grind or clench down on our teeth with up to 130x the force we use during the day to do things like chewing our food or gum. So as you can imagine, if you’re cracking teeth, you’re really doing some intense grinding/clenching while you’re snoozing. If you think you have cracked a tooth, it’s important to seek treatment quickly. Unfortunately, if you’re already to that stage, you will need some endodontic treatment along with cosmetic restoration. You will also need a night guard to protect against any future damage. First thing, stop chewing gum. Stop chewing pencils for that matter! Easier said than done I know, but gum is really bad for teeth grinders–yes, even ADA approved gum. The constant chewing is reinforcing the habit. If you’re actively and voluntarily chewing on things during the day, you’re even more likely to continue that motion into the night. So what’s happening? You’re chewing on things during the day and as a result “toughening” your jaw muscles to where they are very strong and very tight. This can encourage your jaw muscles to want to go through that grinding motion because it’s used to it. Stop it! Ease your jaw muscles during the day, relax and the urge to grind your teeth may lessen. It always amazes me how many people swear that they’re not grinding their teeth at night. I ask them “How do you know? You’re asleep!” The list of reasons range from “my jaw doesn’t hurt in the morning” to “my husband/wife would hear me” to “I make myself sleep with my mouth open”. One man recently told me that he takes medications that dry his mouth out and as a result, he sleeps with his mouth open so he knows for a fact that he is NOT grinding or clenching his teeth. Truth is, guys, you don’t know. You can’t possibly know. But a dentist knows. So, if a dentist says that you grind your teeth, please believe them. They can see things you can’t. 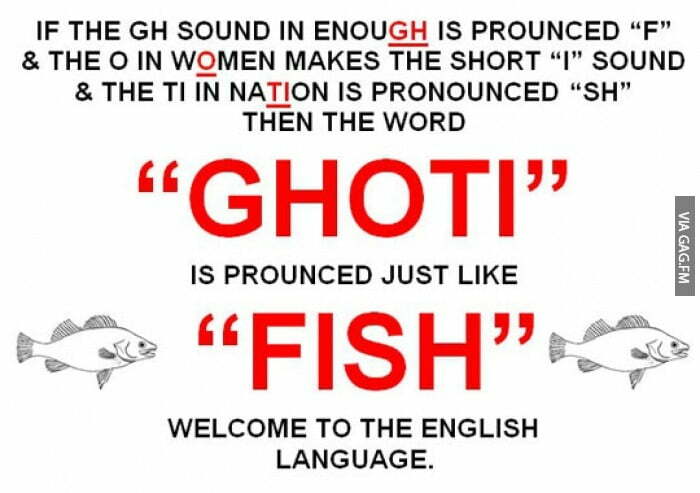 Also, here’s something you should know. Bruxing (teeth grinding) is not an action that occurs all night long. Typically, it happens in these short, intense bursts. So you may not be grinding/clenching your teeth 80-90% of the time, but if you’re doing it 10% of the time, you’re suffering from Bruxism (and potentially, all the not-so-lovely effects). You can literally save hundreds of dollars by ordering your custom sleep guard online. Instead of having to go to a dentist and get a dental impression taken of your teeth, you can simply place an order via internet and have a dental impression kit sent to your home. The kit consists of some mixing putty and a plastic tray. It’s very simple. You take your own teeth impression, place it in the pre-paid mailer and send it back to the lab. The lab will construct the same exact custom night guard you would have paid hundreds of dollars for in-office, for a fraction of the cost. Too good to be true? 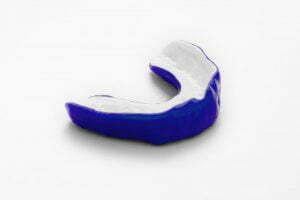 Check out Sentinel Mouthguard Company reviews online! We want to know what you think! Did this article help you? Bruxism is a subject that has so many variables. Questions like “why am I grinding my teeth”, “how do I make myself stop grinding/clenching my teeth”, “which night guard should I choose?” and many many more are not answerable in a clear cut way. Each person is different and the truth is, experts are still not sure as to why we’re grinding our teeth and there is no magic pill that can make us stop. 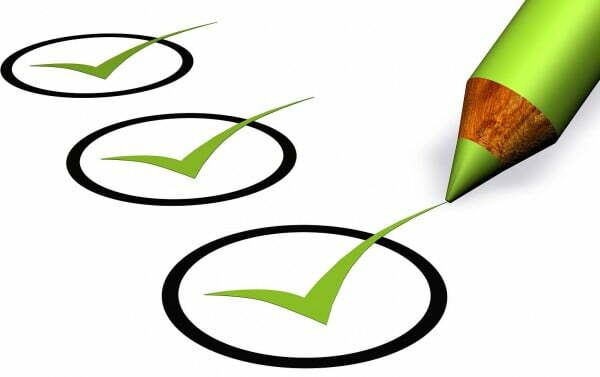 It is our business to provide accurate information to you, the reader, so that you can make informed decisions about your battle with Bruxism. As more information becomes available we will continue to keep you updated. We hope you have found this article useful and interesting! As always, please feel free to leave feedback. *A humorous yet informative article written by talented blogger Amanda Woodward about one of the most common reasons for night guard replacements and reorders. We enjoyed this one and hope you will too! My dog ate my night guard! I have a 10 month old Australian Cattle Dog. Her name is Loki. Yes, I named her after the Norse god of mischief. You may say that I was tempting fate. I say that I was just giving in to the inevitable. If you are a dog lover, you know that they like to chew and as a puppy they will chew on just about anything and everything. After sweeping up the slobbery little bits that were all that remained of my night guard, I was all set to call the dentist and fork over a wad of cash for a replacement, when (in a last ditch effort to save some money) I took to google and typed “affordable night guards” in the familiar search bar. That’s when I truly discovered the great power of the all mighty internet. You can buy almost anything EVEN custom made night guards exactly like the one from my dentist. Through Sentinel Mouthguard Company, you can replace your custom night guard for a fraction of the amount that you pay your dentist. This is because you take your own dental impression and order the mouth guard directly from the lab. Sentinel Mouth Guard lab sends a dental impression kit with the putty and trays just like they use in the dentist’s office. You follow the easy step-by-step instructions to mix the putty, put it in the tray, and make an impression of your teeth. In addition to the written instructions there’s an online video as well. In less than ten minutes the impression will be done, all in the comfort of your own home. Use the prepaid envelope to mail it back to the lab. They will make your new night guard and within a week you will be sleeping easy again for much less money than you paid the dentist for the previous puppy chew toy. There are a number of options with clear descriptions on the Sentinel night guard lab website to help you choose the one that’s best for you. There is a soft, clear nightguard; a hard dental night guard for severe grinding and jaw clenching; and a dual-laminated nightguard that is soft on the inside and hard on the outside for those suffering from TMJ or more moderate grinding. 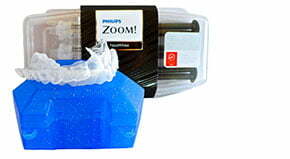 They also make teeth whitening kits with custom made dental trays and custom molded athletic mouth guards. You can even purchase a gift card for the absent-minded athlete in your life (or perhaps the new puppy owner). I know that from now on my night guard is going in the cabinet behind a firmly closed door, but it’s nice to know there is an affordable option available for when I accidentally flush it down the toilet. Are Night Guards BPA Free? Pthalate free? If you have ever experienced chronic teeth grinding or had a family member affected by the problem, you probably realize that this is a matter that should not be overlooked. You only get one set of adult teeth. Grinding or clenching comes with serious consequences such as teeth flattening, teeth cracking/ breakage, tongue indentation, headaches and could even strip your teeth of their enamel. Some of these damages can result in major dental costs. 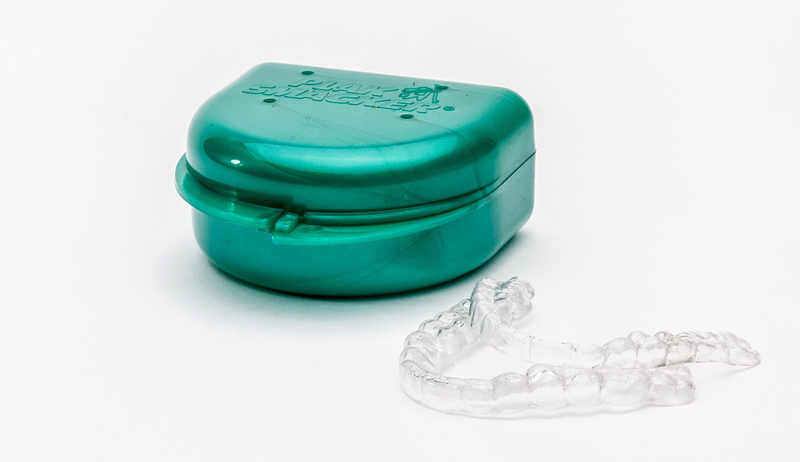 The good news is, the use of BPA free dental night guards is an approach that is non-invasive, SAFE and you don’t need to take prescription medication to curb bruxism (actually prescription meds may be making your bruxing worse). The use of a BPA free dental night guard is more of a preventive remedy.You don’t have to wait until it is too late when your teeth are seriously damaged to take measures to protect your teeth. Episode #1178 of the Joe Rogan Experience podcast opened with Dr. Rhonda Patrick providing some great examples of her own thoughts on BPA and why she is hyper-aware of which bottles she gives her 18 month old baby, why she is concerned with her plastic coffee cups and more! She worries quite often that she is exposing her baby to too much BPA. This is an excerpt from the podcast of her thoughts on BPA. As a scientist, she is concerned. So should we all be? A big concern for many people regarding night guards is whether or not they contain bisphenol-A (BPA). BPA is a synthetic compound used in the manufacture of plastic to harden it. If body organs get exposed to large amounts of this compound, some complications such as hormonal disorders, heart problems, brain and behavioral issues can be a consequence. This has led to the compound in countries such as Canada and the European Union to be banned for use in making baby bottles. It might be hard to determine whether a night guard contains BPA or not, but that should never be a matter of major concern because most dental material brands out there DO NOT include this compound in their products. This is according to the American Dental Association. There may be an exception out there somewhere but generally night guard use is not a health risk at all & most do not contain BPA. 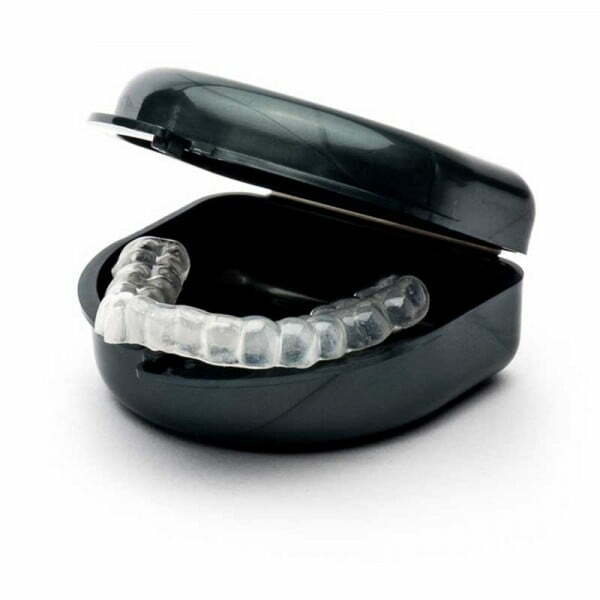 Are Sentinel Mouth Guards & Night Guards Phthalate Free? Phthalates, commonly known as plasticizers, are chemicals included in plastics to make them flexible and harder to break. The CDC affirms that any dangers posed by low amounts of phthalates are unknown but have also revealed that in large amounts, phthalates have had an effect on laboratory animals’ reproductive systems. Most forms of vinyl need phthalates in their processing but lucky for us, EVA (Ethylene Vinyl Acetate) vinyl, which is used in making soft night guards, contains absolutely no phthalates. Dialkyl ortho-phthalate (o-DAPS) is used in the manufacture of some hard acrylic night guards to give them the thermoplastic nature. While people are exposed to phthalates from an array of products & sources such as dietary sources, teething rings & toys, indoor air pollution and, to a lesser extent, dermal contact, human health effects from phthalates at low environmental doses are currently unknown. Just because silicon is an inert element does not mean it does not have side effects. Silicon, in the form of silicon dioxide (crystalline silica) could be a chronic respiratory hazard as researches on laboratory animals have shown that lung damage can occur. Silicon crystalline, when in contact with the skin and the eyes, causes irritation, scaling and itching. Crystalline silica, in the form of quartz and cristobalite, has again been associated with lung cancer. It is however a respite to learn that the most common and natural forms of silicon (silica and silicates) are non toxic and there is generally no threat posed by these forms of silicon. Silica and silicates is popular with sippy cup manufacturers like Nuby because it’s considered nontoxic. Though if you’re still not at ease, dental material makers have recognized the increasing public awareness & concern for what we put in our mouths and have made purchasing silicon free night guards easy. Did you know 93% of Americans have BPA in their body? All Sentinel Mouthguards are BPA, silicon and latex free. Can a Night Guard Shift Your Teeth? 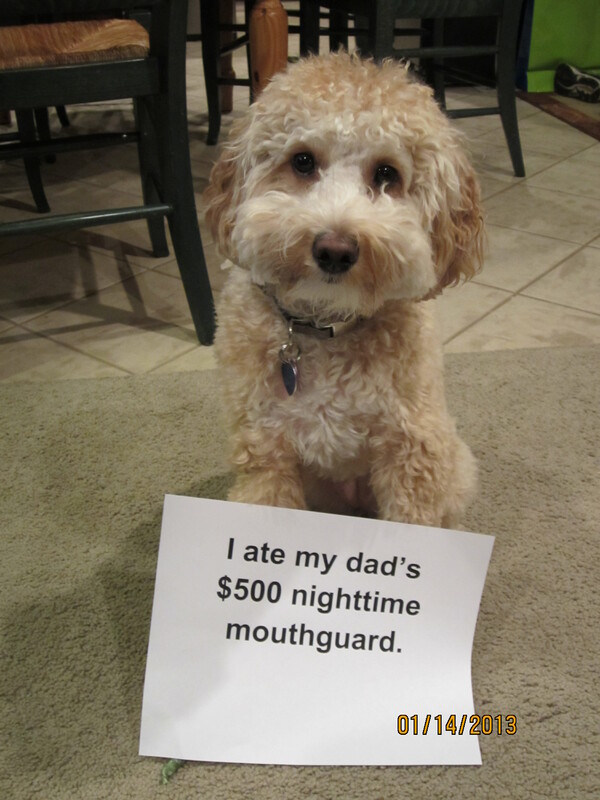 Is Your Night Guard Causing You Pain? Can a Night Guard Shift Your Teeth? [/vc_column_text][vc_row_inner][vc_column_inner width=”2/3″][vc_column_text]Let’s first start by determining which type of dental night guard you’re using. Are you wearing a boil and bite or one size fits all dental guard that you purchased through a retailer like CVS, Walgreens or Amazon? This could be an issue. Though some do have success wearing these less expensive versions (versus custom made) many people feel discomfort and report being unsatisfied with their purchase. 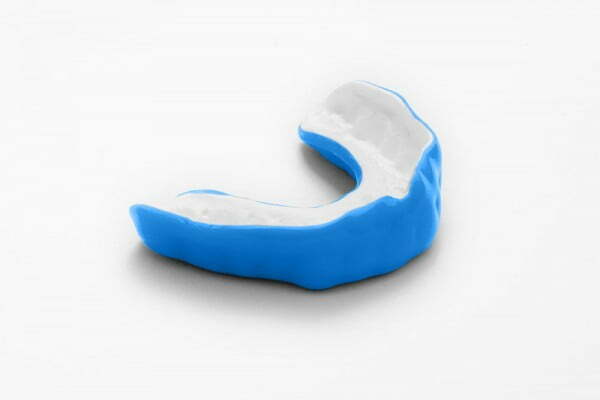 These mass produced night guards can even lead to greater problems like increased jaw pain and/or soreness. One of the reasons for this is because mouth arches and teeth sizes are so varied. It’s terribly difficult to create a “one size fits all” solution. Can a night guard shift your teeth? Perhaps the use of an ill-fitting hard night guard could shift your teeth if worn continuously or a more likely story is that your teeth naturally may shift over time. [/vc_column_text][/vc_column_inner][vc_column_inner width=”1/3″][vc_single_image image=”1829″ img_size=”full” onclick=”custom_link” link=”https://sentinelmouthguards.com/product-category/night-guards/”][/vc_column_inner][/vc_row_inner][vc_column_text]The verdict is in and most agree that custom made night guards are ,hands down, the way to go if you must wear a nighttime dental device. It’s true, they are the best option available in terms of comfort, fit, & durability. If you’re wearing a store bought “one size fits all” dental guard and it’s hurting your teeth at night you should look into purchasing a custom made night guard. You can get a great quality custom night guard direct from the dental lab online for as low as $99.00 here. You did the right thing. You got a custom made night guard and you still can’t sleep with it. Now what? But what if you opted to go through a dentist and paid their prices (which range from $400-$1500) only to be disappointed or in downright pain after usage? If you find yourself thinking “my night guard hurts my teeth”, you should see your dentist as soon as possible. There may be a problem with your night guard. 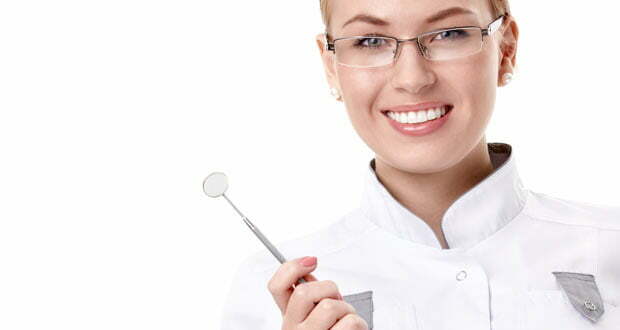 A reputable dentist will work with you to resolve your discomfort issue. You shouldn’t be wearing an ill-fitting night guard for one of several reasons listed in this article. Your dentist may have prescribed a night guard because he noticed that you grind or clench your teeth. You may grind your teeth at night, or even catch yourself grinding your teeth during the day. You’ve taken his advice, and wear your night guard faithfully as prescribed. Why is my night guard causing me pain? It may take several nights of consistent use before you adapt to sleeping comfortably with your new guard. Some light tooth soreness during this time period can be normal. Night guards should not cause continued pain. When they do, it is often because they are not fitting correctly. Pain may be your only clue that your night guard is not fitting properly. If you continue to have pain after more than a week or so you should see your dentist as soon as possible or if you purchased from a direct night guard lab online you should contact them. A reputable dental night guard lab will work with you to get a great fitting (and pain free) dental night guard. Is your night guard causing irritation on the tongue or gums? It could have a little rough edge or spot & simply needs to be polished. If you’re handy with a Dremel tool, you may be able to lightly brush that spot with a polishing bur yourself and save a trip to the dentist. Otherwise, your dentist should be happy to fix that for you. What are the symptoms of an ill-fitting night guard? tenderness in one or more of your teeth. Why is my night guard not fitting my mouth? One common reason can be an inaccurate dental impression that was taken during your initial visit to the dentist or if you ordered online you may have distorted your dental impression. A clear cast of your teeth is essential in getting a well-fitting night guard. Improper fabrication of your night guard. Your dental device could be made by an inexperienced worker causing an extremely tight fit or possibly too loose. A piece of food can lodge between your teeth or on the surface of a tooth. You may be able to remove these with a toothbrush or floss. But plaque can also build up. It may need to be removed by a hygienist. These obstructions can dislodge your night guard. A new filling, or even replacing an old filling, can cause night guards to stop fitting. If you only wear your night guard at night, you may forget to tell your dentist. He will need to adjust it to fit the new filling area. Even if the filling is on an “opposing tooth”, a tooth opposite the night guard, it can affect how the guard fits and functions in your mouth. Sometimes a chip out of a tooth changes the way it fits against the teeth around it. Even a small chip can be enough to change the way your night guard fits. What further problems do ill-fitting night guards cause? Your teeth may get pushed out of their normal place. Your jaw can become misaligned. This can lead to TMJ (temporal mandibular joint) problems. Other areas of your mouth may become irritated such as the inside of your cheeks, the edges of your tongue, and your gums.